There was loads of gorgeous inspiration in this class, and it was hard for me to focus on only one of the showcased techniques. However, what I definitely wanted to try out was "letting go", in the sense that not all layered stamping needs to be done super precisely and exactly as intended by the manufacturer. This is something that I definitely struggle with, so I challenged myself to trying it. I made two cards during my "homework" attempt, and both are in a way similar, hence I am sharing both in this post. For one, I used a kraft-coloured card panel, for the other - a grey one. 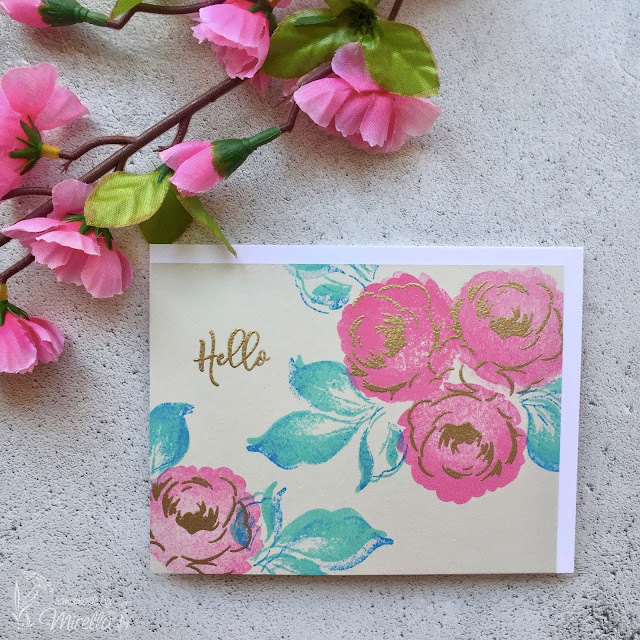 I made floral clusters, using Distress Oxide Inks for the flowers and some of the leaves (Oxides stamp beautifully on darker card stock), and a Lawn Fawn ink for the remainder of the leaves. The details & sentiments were stamped with Versafine Onyx Black on the first card, and heat embossed in gold on the second one. Where is the "letting go", you may ask? Well, to start with, I used the black detailed lines from one of the flowers in the stamp set, and the "background" petal colour was stamped using another one of the florals. I didn't use all of the available layers either - just one solid coloured layer, and the detail layer. I let the inks overlap, I didn't use any masking. And, finally (and that's mostly visible on the second card), I simply had fun with the inking and stamping - I didn't want precise & exact coverage on the stamped images, to add a bit of variation, and for the flowers to have a more "natural" and organic feel. I even went a step further, and did two slightly off-set impressions for the leaves! I had loads of fun with these cards, and thanks to the fact that I didn't want them to be too precise, they were really quick to put together, too! So a total win-win in my eyes! If you have never tried to "let go" a little bit yourself - I think you should definitely give it a go. 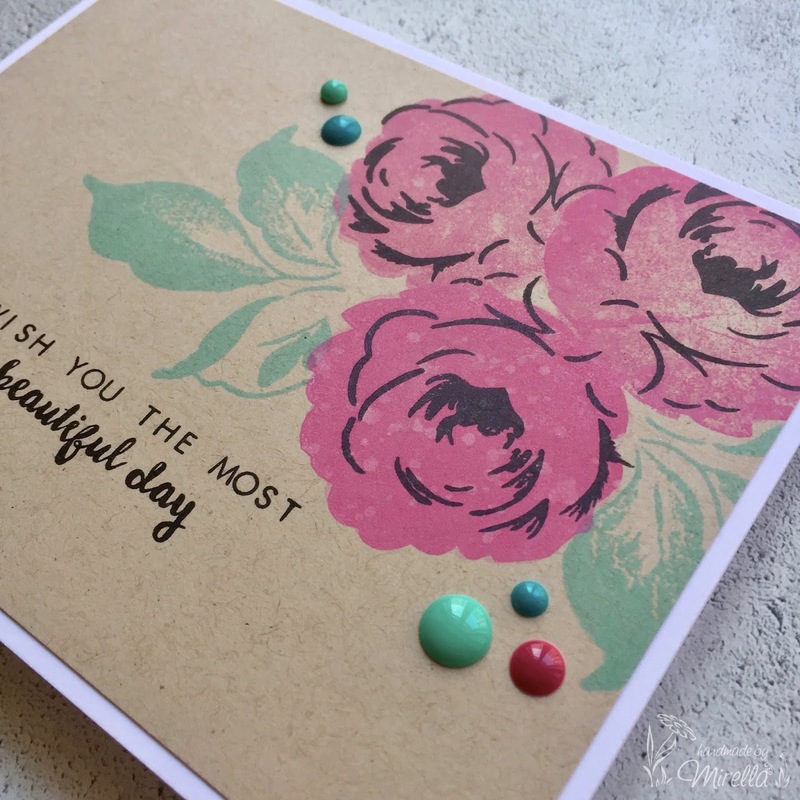 You never know, you might really enjoy it - I for sure did, and am planning to try stamping like this more often. BEAUTIFUL!! Love what you share, Mirella! 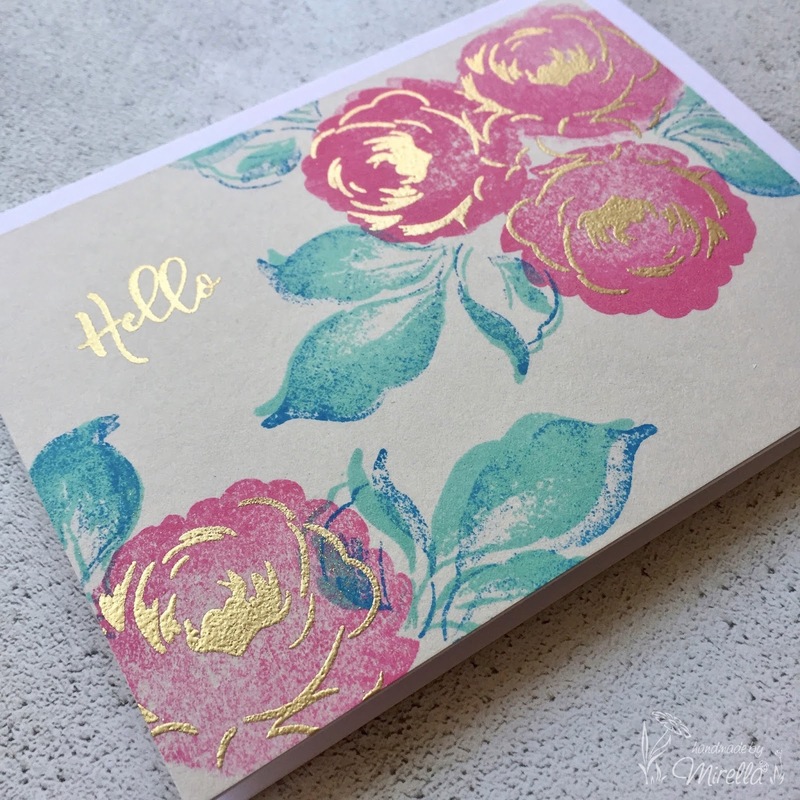 Your combination of two layers and embossing are awesome in this! GREAT post! Thanks so much for entering your beautiful work in Altenew AECP assignment Gallery. Beautiful colors and design. Both are absolutely beautiful. I agree with you, it feels good to loosen up a bit. 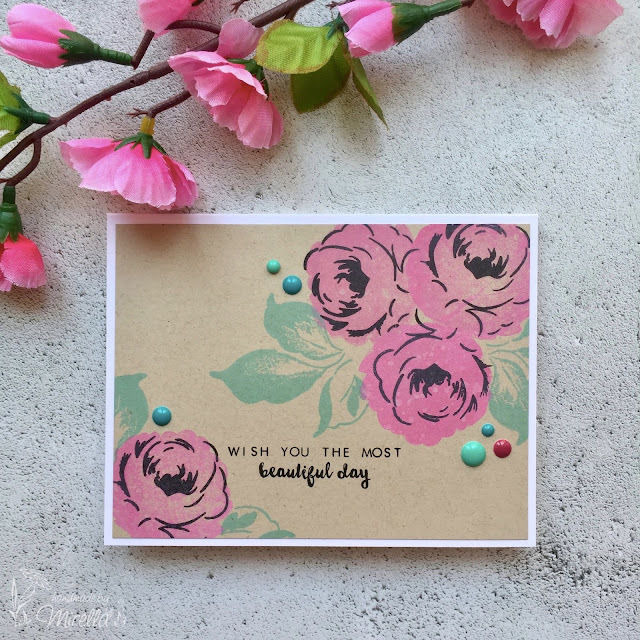 I tend to be a perfectionist when it comes to my cards, so I need to "let go" more often. Gotta keep it fun!! And when I actually do, it's liberating!! Thanks for joining us for the Simon Says Stamp Wednesday Challenge.